The Gujarat government is all set to form Gujarat Affordable Housing and Slum Rehabilitation Authority (GAHSRA), with sweeping powers, under the chairmanship of the the state chief minister to “manage” and “develop” state slums in the state's urban areas. Draft of the Gujarat Slum Rehabilitation and Redevelopment Policy, 2013, in possession of www.counterview.net, at the same time, seeks to add yet another bureaucratic ladder at the local urban self-governing level under the chairmanship of municipal commissioner in municipal corporation area, chairman of the urban development in the urban development authority area, and the district collector in municipality area. 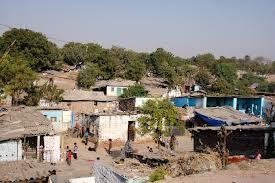 The new structure would be called Slum Rehabilitation Authority (SRA).. The policy has been worked out as the previous one, of 2010, had become a non-starter. The previous policy had wanted to involve private developers (like this one) to take up slum rehabilitation on lines of Asia's biggest slum area, Dharavi, in Mumbai, by allowing free floor space index (FSI) in lieu of building free apartments for slum dwellers. The new policy does not just seeks to relax this further, but allow what it calls “Swiss route”, under which the developer will bypass the competitive bidding process. Of course, the policy does say that “to develop slums, the private developers will be have to go into “the conventional two-bid system”. However, it is quick to add, there will be a Swiss challenge route, too, in “exceptional cases”, under which no bids will be required because the under it the project would be “involving innovation”. Even as saying that it “may” involve “experts to facilitate” slum rehabilitation, the policy says, the authority will have powers to “notify any area in an urban area occupied by slum dwellers as a slum area and further as a ‘slum rehabilitation area’ for the purpose of rehabilitation of that slum.” In case the slum-dwellers have any objection, they will be allowed to represent to this authority alone. “The SRA shall, on the merits resolve the grievance(s) by giving direction to the developer or any other persons related to slum rehabilitation”, the policy says, adding, any person aggrieved by the order of the SRA “may, within 21 days of the publication of such order”, prefer an appeal to the GAHSRA, headed by the CM, and its “decision” will be final. In the section on “strategies of slum rehabilitation”, the policy says that the “private developers will be incentivized” to redevelop slums “on public land as a preferred option”. However, if the “private developers do not come forward, rehabilitation of notified slums will be undertaken by the concerned the SRA”.